Homepage / sony / Sony Officially Introduces Xperia XZ3, It's the Price! 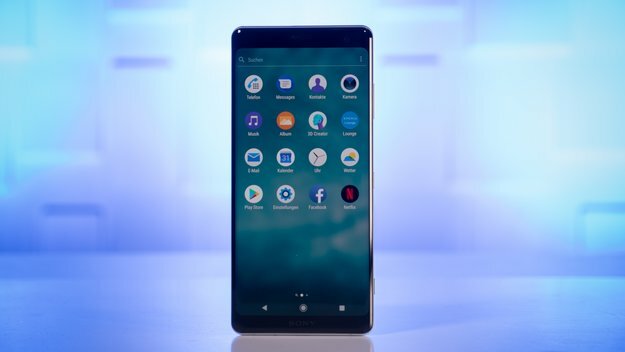 Early last year, precisely at the 2018 MWC event in Barcelona, Sony has released the Sony Xperia XZ2 . Now, enlivening the IFA 2018 in Berlin, Sony again made a surprise by introducing the Sony Xperia XZ3 , the first smartphone made by Sony that was packed with a 6-inch screen. Not only that, this smartphone is also packed with impressive hardware specifications and is ready to run with the Android 9 alias Pie operating system . Snapdragon 845 is trusted by Sony to be the chipset of this smartphone that combines 4GB of RAM and 64GB of UFS 2.1 storage . Speaking of screens, the Sony Xperia XZ3 comes with an 18: 9 aspect ratio and the resolution is QHD + . Sony also complements this smartphone screen with Sony Bravia TV image processing technology. The front and rear sides are also protected with a Corning Gorilla Glass panel . To operate this smartphone with one hand, Sony also inserted Side Sense fitrur . Through these features, Xperia XZ3 users can directly access the main application by tapping twice on the smartphone side. So, what about the camera support? The Sony Xperia XZ3 comes with a single rear camera that has a resolution of 19 MP f / 1.8 . Interestingly, Sony also inserted a 960fps super slow-mo capability and 4K HDR technology for the rear camera. Mentioned, Sony will sell this smartphone in the United States market via Amazon and Best Buy starting on September 24, 2018 for US $ 899 or around Rp . 13 million . For color choices offered are Black, White Silver, Bordeaux Red and Forest Green.